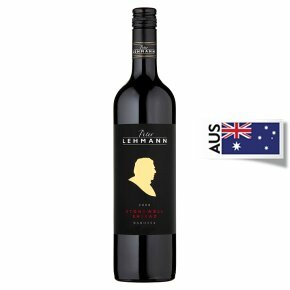 Stonewell Shiraz is Peter Lehmann's best, richest, most concentrated Shiraz of vintage. Released as a 5 year old wine, Stonewell is acknowledged as one of the leading Shiraz wines of Australia. The grapes have been selected from extremely low yielding, high quality vineyards in the Ebenezer, Moppa, Stonewell Road and Light Pass sub regions of the Barossa. Barrel fermentation and subsequent ageing in predominantly French oak hogsheads adds complexity to the style.The 2002 vintage is regarded as a great vintage and was preceded by the coolest summer in recorded history which ensured a long, slow ripening period.The colour is intense black/red leading to a bouquet of black forest fruits with a hint of green olive. The palate is richly structured with a firm, long finish making this a great wine for the cellar where it can be aged for 10 years or more.We recommend careful decanting as a crust may have formed in the bottle.